Are you tirelessly trying to find affordable deals on new and used cars for sale near me? Do you feel like you have had little to no luck so far in your search for used cars for sale in Wisconsin? Then solve your shopping problems. Come and shop at Ewald Chevrolet Buick. Check out what Ewald can offer you today in our selection of used cars for sale near you. Drivers everywhere love coming to shop with Ewald’s Buick dealership near Milwaukee WI. Ewald makes it fast and easy to find and drive away with a used car for sale in Wisconsin that you are sure to love. We proudly offer drivers from all around a wide variety of new and used cars for sale near you and more. Which means you will no longer need to spend hours searching around WI and can spend more time out on the road with a used car you will love to drive! Here at Ewald’s Buick dealership near Milwaukee WI, drivers from all around won't just find and test drive a variety of used cars for sale in Wisconsin. With all of the different makes and models. you will also find many great deals to take a look at while shopping around. So stop by and take a look at some of our used cars for sale near you today. Including Buick SUVs for sale like the attractive Buick Encore. 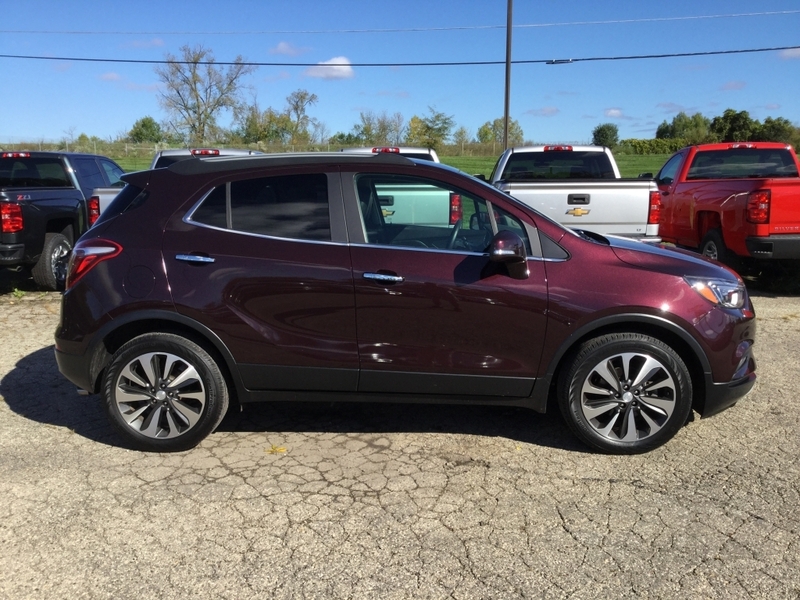 The Buick Encore for sale is part of the highly sought after Buick SUVs selection you will be proud to call your own. The affordability of the Buick Encore is unlike any other Buick SUV models. The EcoTec 1.4-liter engine on the Buick Encore allows for a high MPG rating. Get an average EPA rating of 25 miles per gallon in the city and 33 miles per gallon on the highway. The fuel economy on the Buick Encore isn’t the only thing worth mentioning on this Buick SUV. You will find many comfort features that you have been searching for at our Buick dealership in Milwaukee WI. Such as a luxurious leather seats, remote start, a rear vision camera, and more. As well as heated seats and a 6-speaker audio system. Come out and take a Buick Encore for sale out for a test drive today. Is the Buick Encore not the right Buick SUV model to meet your needs? Come in to see one of the many other Buick SUVs for sale at our Buick dealership near Milwaukee WI. Let us help get you one step closer to cruising home in the Buick SUV of your dreams today from our Buick dealership in Milwaukee WI. You can find Ewald Chevrolet Buick located at 36833 E Wisconsin Ave Oconomowoc WI, 53066 to check the Buick Encore out in person. Or you can give us a call at (262) 226-2842 to schedule your test drive. We encourage our Ewald Chevy dealer online shoppers to take full advantage of our online shopping tools. You can browse through our inventory selection of Buick SUVs for sale based on the criteria that meets your needs. Give our sales team a call when you're ready to take a Buick SUV out on a test drive! When it comes to the Buick SUVs for sale near you, make the trip here to Ewald Chevrolet Buick. We are happy to sit down and figure out what your everyday needs and desires are when it comes to your next SUV. We can help you search through our diverse Buick SUV inventory to find one that is perfect for your day to day needs.